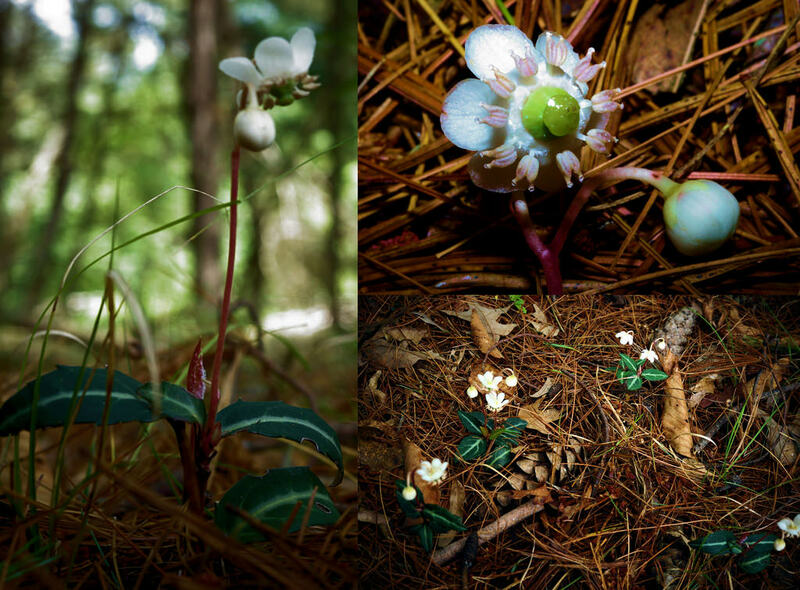 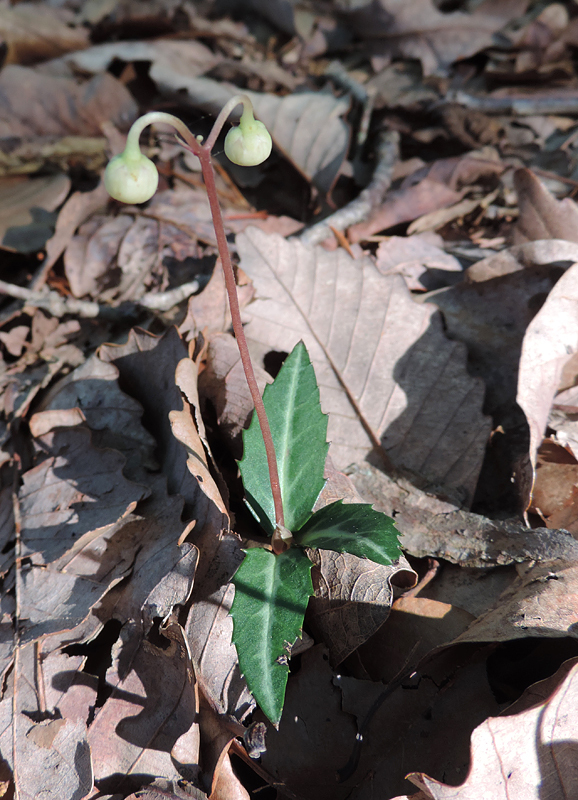 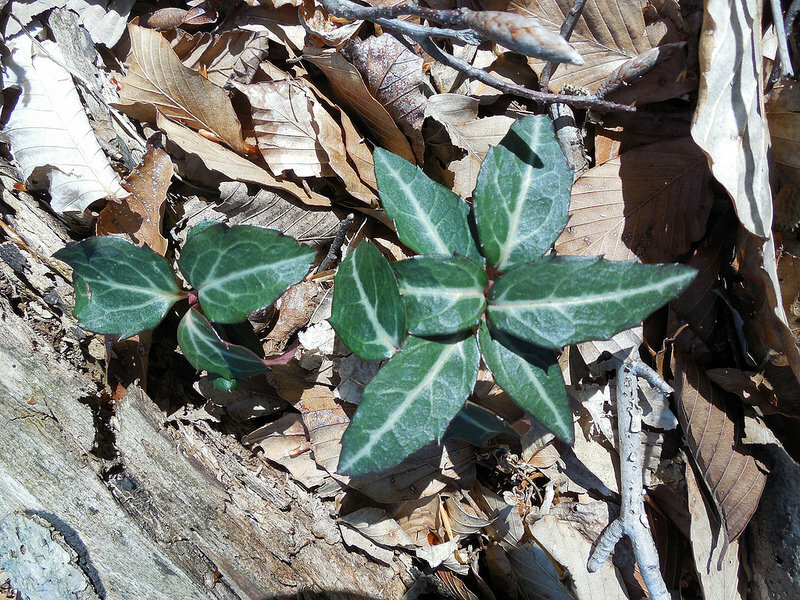 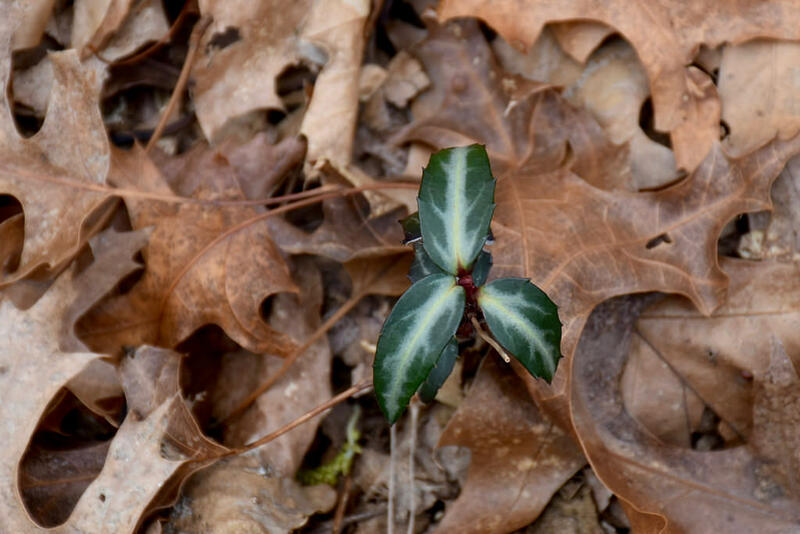 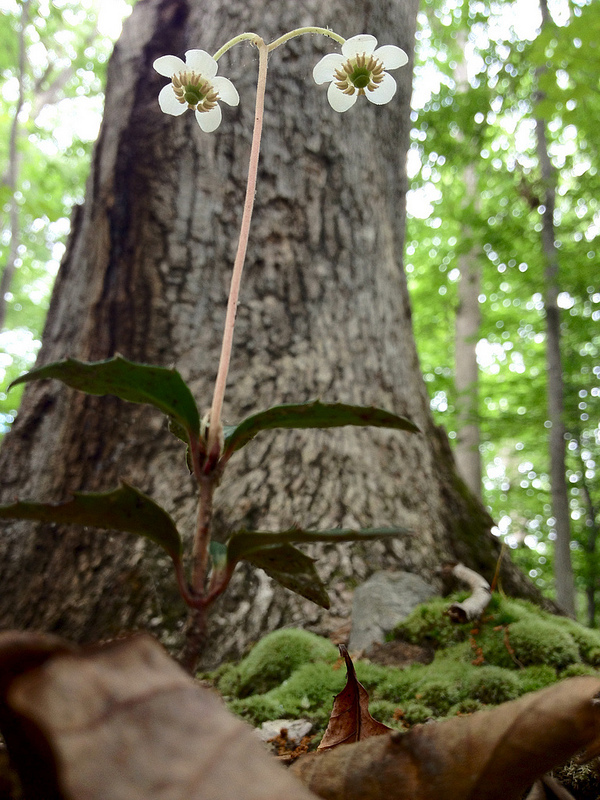 Spotted Wintergreen Chimaphila maculata (Linnaeus) Pursh Synonyms: Striped Prince's Pine. 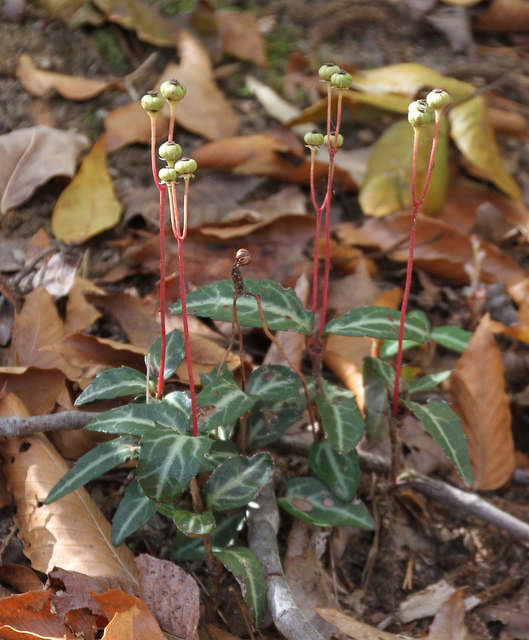 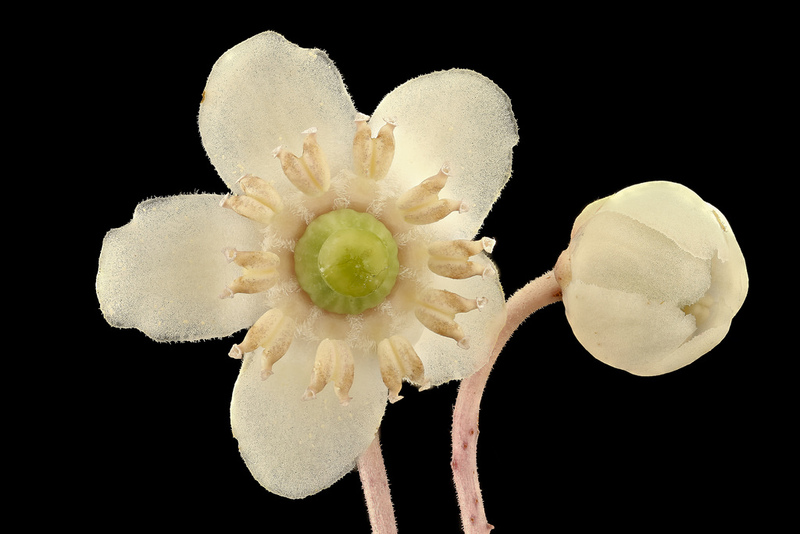 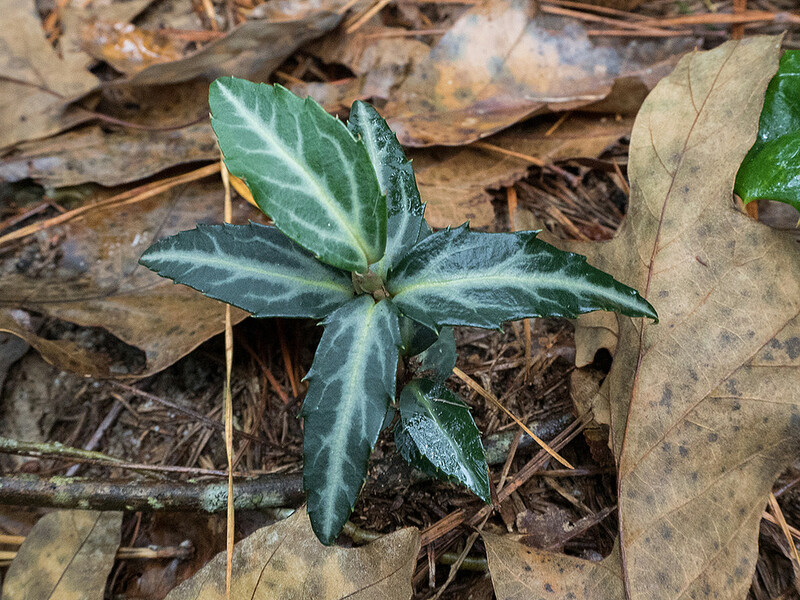 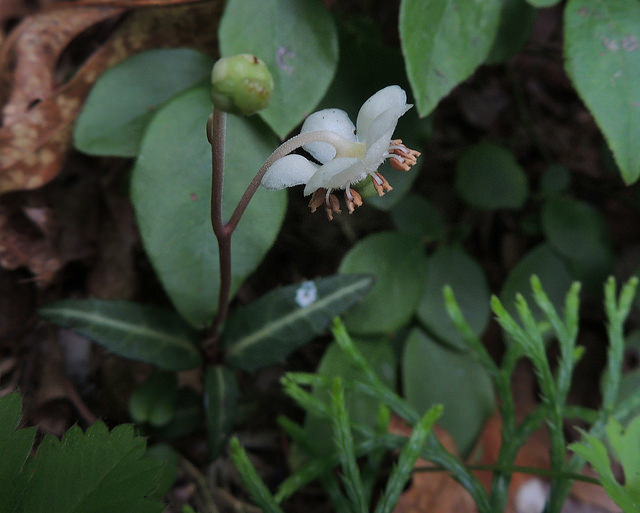 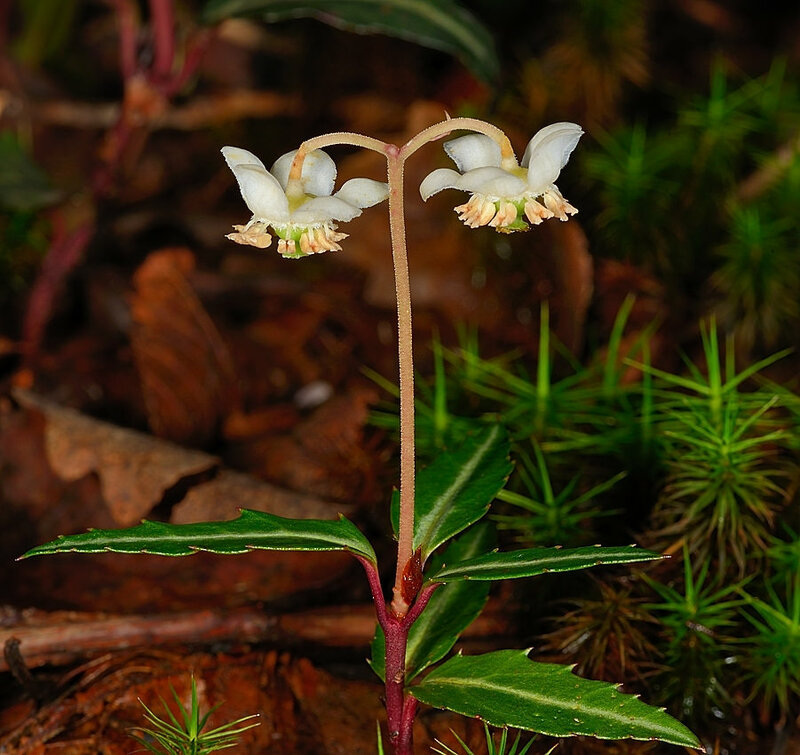 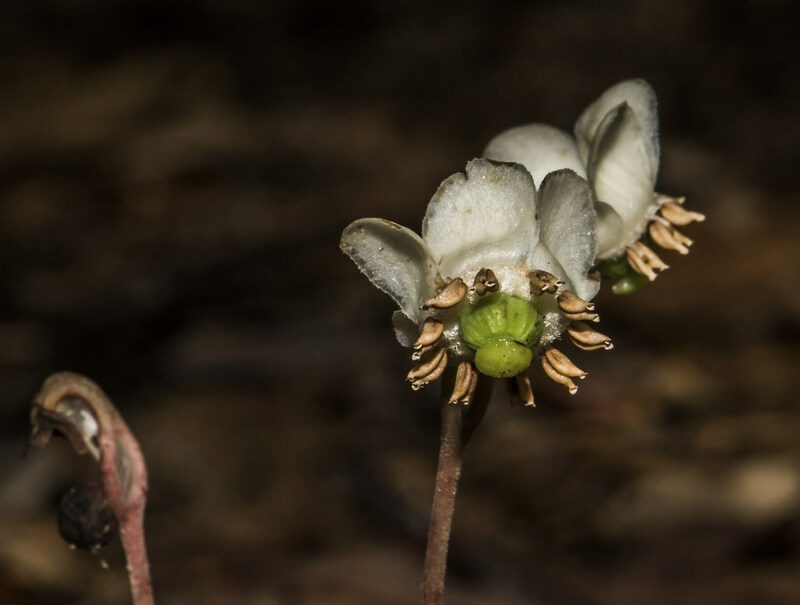 This short, evergreen woodland plant is easily identified even in winter by its clusters of deep green, lanceolate leaves with sparse teeth and a conspicuous pale midrib. 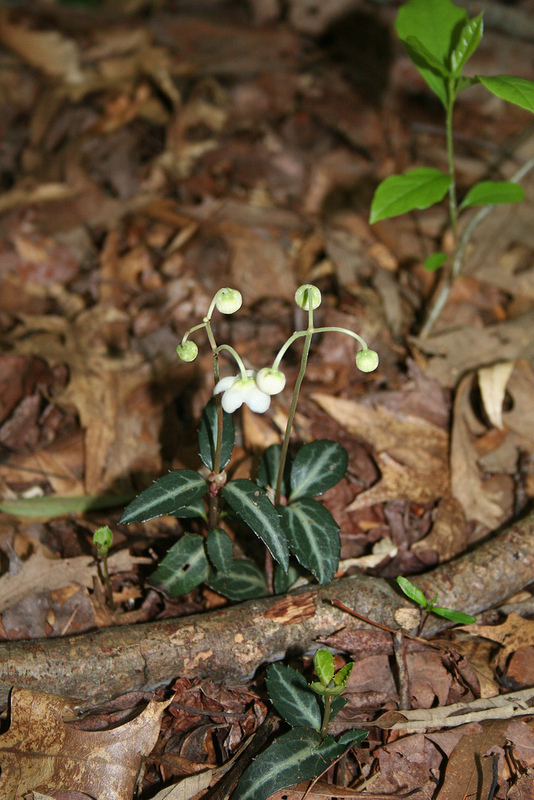 There are 405 records in the project database.